Attention Deficit Hyperactivity Disorder (ADHD) is a neurobiological condition affecting around six percent of school-going children and causing impairments in concentration, hyperactivity and impulsivity. Twin studies, family studies and adoption studies attest to the heritability of ADHD, whilst imaging studies and the robust effectiveness of pharmacological treatments underscore the biological underpinnings of the disorder. Nonetheless there remains a vigorous debate, in both the lay press and scientific literature, about the role of the environment in the pathogenesis and management of ADHD. The child’s intrauterine environment, the early attachment experience, dietary factors and quality of parenting have all been implicated as possible contributory factors to the condition. It is well-established that parents of ADHD children are particularly stressed and experience dissatisfaction with their parenting. In clinical practice it is also common for parents to question their role in their child’s symptoms, and to seek out behavioural and other non-pharmacological approaches to treatment, either complementary to medication or in preference thereto. At the very least, parents require education about the condition, and the effectiveness of prescribed treatment is predicated upon parental co-operation. Certainly in the preschool age-group, non-pharmacological approaches are particularly important in view of the greater risk of side-effects with stimulant medications. The quality of parenting is one of several important pathway moderators in this age group, influencing the progression from at-risk to diagnosable ADHD. Parent management training is an intervention which can be employed at various stages of the child’s development but is usually most effective when implemented in the preschool years. It involves a system of positive reinforcement, which employs a ‘token economy,’ (star charts, points system) which selectively reinforces appropriate behaviour. Evidence-based parent training programmes include STEP (Systematic Training for Effective Parenting), the Incredible Years Basic Parenting programme, the Positive Parenting Programme and the New Forest Parenting Programme. Not all of these are available in South Africa but there are many competent practitioners who incorporate the important aspects of these programmes into the process of parent counseling. Several studies have shown a reduction in ADHD symptoms in preschoolers and an increase in maternal wellbeing with parent training interventions. Central to the understanding of parenting in ADHD is the concept of expressed emotion, a measure of family relationships which quantifies the attitudes and emotions of family members towards one another. A commonly used measure of expressed emotion is the Five Minute Speech Sample, in which the parent talks about the child and factors such as the initial statement, critical comments, positive comments, parental warmth and parent-child relationship are rated. Another approach involves the direct observation of a family interaction, such as a family activity or discussion, and the coding of measures such as the total parental verbalizations and commands, percent of praise (number of praise statements divided by total verbalizations), negative talk (number of negative statements divided by total verbalizations), ratio of commands to total verbalizations, and responsiveness (number of child requests that were answered by the parent divided by the total number of child requests and questions). Studies employing these measures have shown that in general parents express more negative emotions towards children with an ADHD diagnosis compared with controls or unaffected siblings. In prospective studies examining expressed emotion, higher maternal warmth is protective against later ADHD, intrusive, insensitive paternal behaviour is predictive of hyperactive-impulsive behaviour at school, and a lack of paternal warmth is associated with later substance abuse in ADHD children. These predictions held after statistical adjustment for the effects of preschool ADHD behaviours and conduct problems and pertinent parental psychopathology. But what is the mechanism by which expressed emotion influences the ADHD phenotype? The differential susceptibility theory posits that some children are more genetically susceptible to adverse environments (such as parental expressed emotion) than others. Children carrying certain risk alleles will be more at a disadvantage in negative, but conversely, more at an advantage in positive environments. According to this theory these risk genes are best conceptualised as plasticity genes because they are modifiable by environmental influences. In recent years, geneticists have discovered an increasing number of environmental influences which can actually change gene activity. Furthermore, these changes – known as epigenetic changes – can be transmitted from one generation to the next. Both the physical and the psychological environment can have such effects. There are a number of mechanisms by which these gene changes can occur. One example is methylation. A methyl group is a basic unit in organic chemistry: one carbon atom attached to three hydrogen atoms. It takes only the addition of a methyl group to a specific spot on a gene, to cause it to be activated or deactivated. Certain plasticity genes seem to make individuals more susceptible to environmental influences—for better and for worse. Associations between low maternal warmth and comorbid conduct problems in children with ADHD have been found to be moderated by variants of such risk genes, including the dopamine and serotonin transporter genes. Many parents of ADHD children have the condition themselves; this is not surprising given its well-documented heritability. For a number of reasons, untreated parental ADD often has a significant effect on offspring. From a general parenting perspective, being disorganised, forgetful, impatient and impulsive will impact on the parent’s capacity to provide the necessary structure, routine and discipline important for all children, especially those with ADHD. This may negatively affect the child’s adherence to prescribed medication; even the process of interacting with the pharmacy around a high schedule medication requires a significant degree of planning and organisation. Furthermore, it is important for parents to facilitate several important lifestyle factors known to be important in managing ADHD, such as sleep routine, regular exercise, healthy diet and moderation with respect to electronic screen exposure. These lifestyle factors need to modelled at home by the parents, which is again more difficult if one or both parents have the condition themselves. Lastly, emotional dysregulation, a significant symptom in many adults with ADD, is likely to aggravate the emotional environment in the home as discussed earlier, with adverse consequences for the child’s prognosis. It follows therefore that identification and treatment of adult ADD should improve parenting performance and the management of the child’s condition, and there is a growing literature suggesting that this is the case. Apart from adult ADD, other parental psychopathology may impact significantly on children with or without the condition. Post-partum depression has been shown to be predictive of ADHD in later childhood This may be mediated by a shared genetic vulnerability, the impact of postnatal depression on infant attachment or on hitherto unidentified mechanisms. Mental illness of any sort is likely to impact on parenting performance as discussed earlier, especially with respect to expressed emotion. Exciting breakthroughs in our understanding of the neurobiological nature of ADHD have deflected attention away from important environmental influences germane to the pathogenesis and management of this disorder. One should also not think dichotomously about the nature/nurture debate, as there is an increasing body of evidence linking the two, as evidenced by the role of epigenetic influences on gene expression. 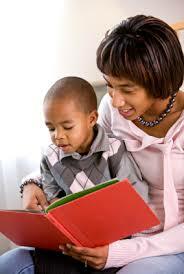 The most important aspect of the child’s early environment is the quality of his relationship with his parents. Parenting performance influences childhood ADHD in several ways, operating from very early on in child development. Given the massive economic burden of ADHD, as well as the scarcity and cost of appropriate specialist care, it would serve us well to pay special attention to the role of the parent in the management, and perhaps even prevention, of this common childhood condition.